As a homeowner, business, or charitable organization, power bills can consume a large percentage of your budget. That’s why you’ll need strategies to reduce this cost. With a solar panel, you’re able to generate free energy for your operation. Furthermore, these systems have an effective lifespan of about 20 years. You’ll be reducing the electricity costs by a significant margin every single month. We all have a responsibility to guarantee a sustainable future for the next generations. We can accomplish this by reducing the amount of carbon emissions into the atmosphere (greenhouse gasses). Solar panels have a very little negative environmental impact. Over time, they have a very favorable footprint compared to traditional methods of generating electricity. Using solar panels is both safe and environmentally friendly. Solar panels rely upon the sun to generate power. Sunlight is freely given by nature; no one can monopolize it. As such, the installation of these systems will help you save money from day one. Additionally, these benefits are more apparent in the long run; the more you use, the more you reap the benefits. There are also many tax credits for the installation process to help balance out the upfront costs. Electric power must be transported from the power plants to end consumers. Extensive power networks make this possible. However, the higher the transmission distance, the higher the power loss. That’s why you install your solar panels on your roof. In this way, you’re able to localize the power. The transmission distance is short, and thus its efficiency is high. But how does this improve the grid security? If more people shift to solar power, brownouts and blackouts will be lessened. The number of people consuming power from the network will decrease. As an entrepreneur, you need to manage your costs. The more you can reduce the costs of your inputs without compromising your brand, the better. This can be accomplished through solar panels as well. The sun provides an unlimited supply of free energy every day. 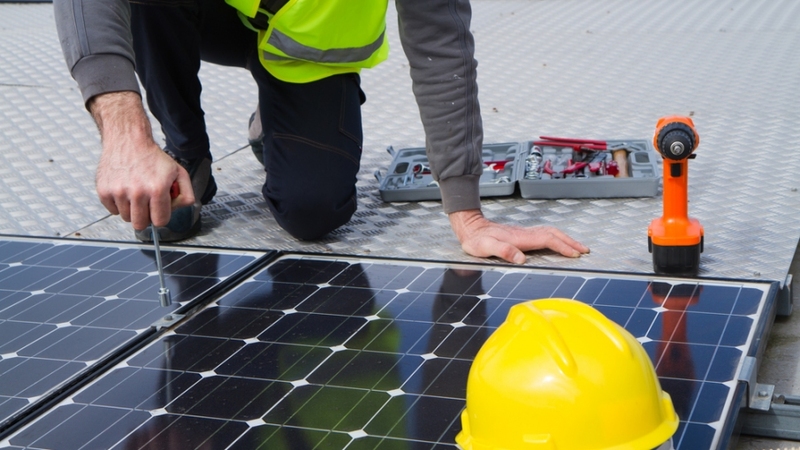 As you can see, there are several substantial benefits to outfitting your home or business with solar panels. Whether your goals be economic or humanitarian, be sure to set up a consultation today!